What better time could there be than a cold winter’s day to fill your house with the tantalizing aroma of fresh-made bread? 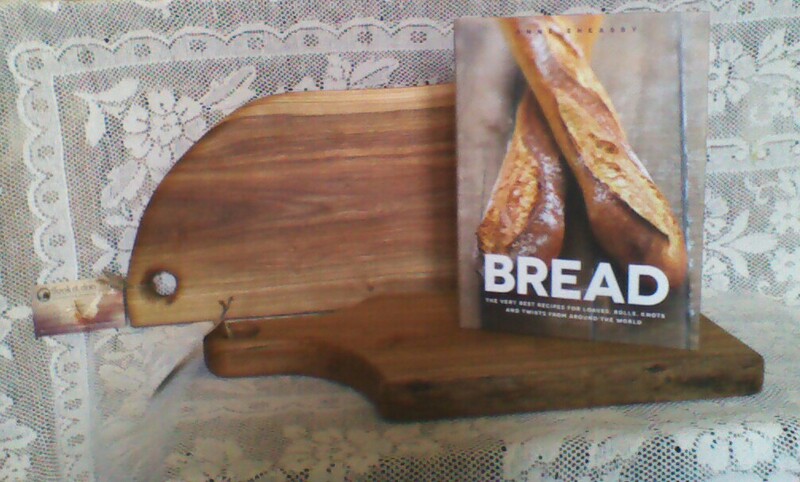 The mouthwatering book “Bread” by Anne Sheasby arrived at just the right time. This easy-to-follow book fills you in on all the basics and includes chapters on everyday breads, quick breads, flat breads, breadmaker recipes, gluten-free breads, specialty and festive breads and bread dishes – as well as all-important gorgeous pictures to accompany them all. Once you’ve learned this old-fashioned art, you will need something equally impressive upon which to slice it/butter it/present it. A unique locally hand crafted board by flook d. doo is just the thing! This pairing is, well, pretty much the best thing since sliced bread! Both are available right here at Backbeat. Thanks once again for supporting local business! November 27, 2013 Locally made wood record crates from Flook D. Doo now here!